Own the field with the Bering Optics 1-7x24 RATR Tactical Riflescope. This telescopic sight combines a high-definition (HD), low-distortion 1-7x fully multi-coated optical system with the strength of a 34mm 7005-T6 aluminum maintube. 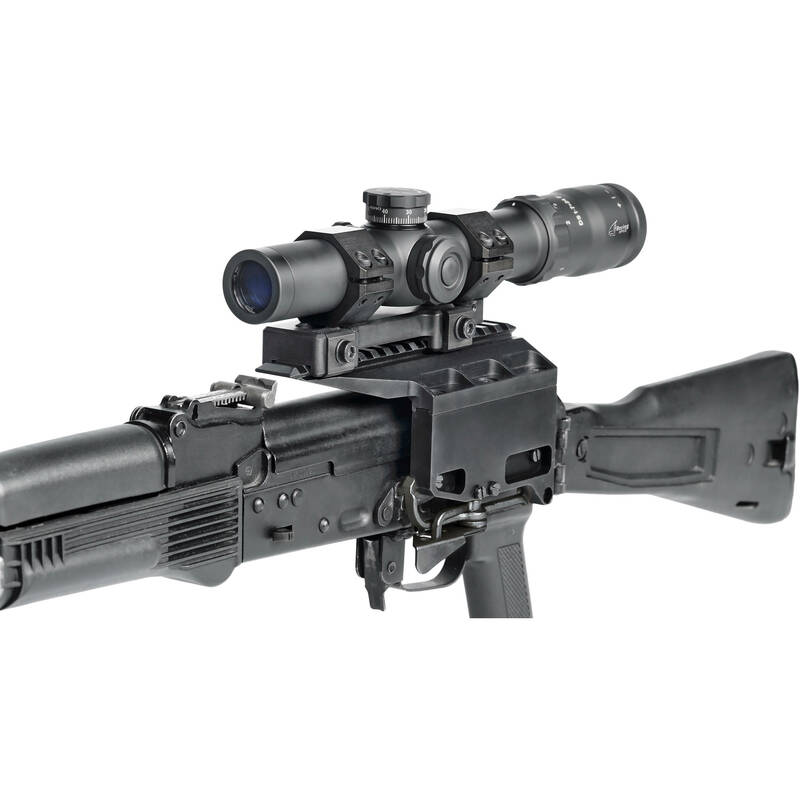 At the core of this scope is the illuminated 1st focal plane Tactical Milling Reticle (TMR). The first focal plane location lets the reticle scale up and down proportionately with your target as you zoom in and out and allows you to read correct ballistic and wind measurements without doing any additional math. While its outline features four posts and a crosshair densely populated with stadia and an illuminated target circle, the adjustable illumination of the target circle helps you match the reticle's brightness to external lighting conditions and can be dimmed sufficiently for use with night vision devices. For making additional corrections of trajectories, the external (finger-operated) turrets provide 15 Mil range for windage, 30 Mil range for elevation, and 0.2 Mil increments. To ensure flawless operation in harsh conditions, the riflescope is outfitted with a rugged 7005-T6 aluminum alloy housing. It is nitrogen-filled fogproof and O-ring sealed waterproof and can withstand .375 H&H Magnum recoils. For a secure non-slip grip in any conditions, the dials have coarse knurling.